If you’ve read many of my blog posts about growing your email list, you’ve probably heard me mention the website MyBookCave.com. As I talk to authors, it seems there’s a bit of “Angst-of-the-Unknown” syndrome associated with the site. Since some of my favorite group giveaways have been run through the My Book Cave, and almost all of their services are FREE, they’re definitely a site for authors to check out. They’ve recently rebranded as “Book Cave” (drop the “My”), so I’ll refer to them by that name moving forward. This entry was posted in book promotion, email distribution, email list, paid advertising and tagged advertising, Book Cave, Book Sales, Lead Generation, marketing, paid, price, return on investment. BookBub.com is best known for their Featured Deals. The ones that have skyrocketed more than one writing career and aided their fair share of bestseller campaigns. But aside from the (admittedly pricey) Featured Deals, Bookbub offers other beneficial opportunities for book promotion. Some of them are even free! This entry was posted in book promotion, bookbub, Uncategorized and tagged advertising, book launch, Book Sales, bookbub, marketing, new release, pre-order. We’re deep in our blog series about sample launch plans depending on what type of book you’re releasing. 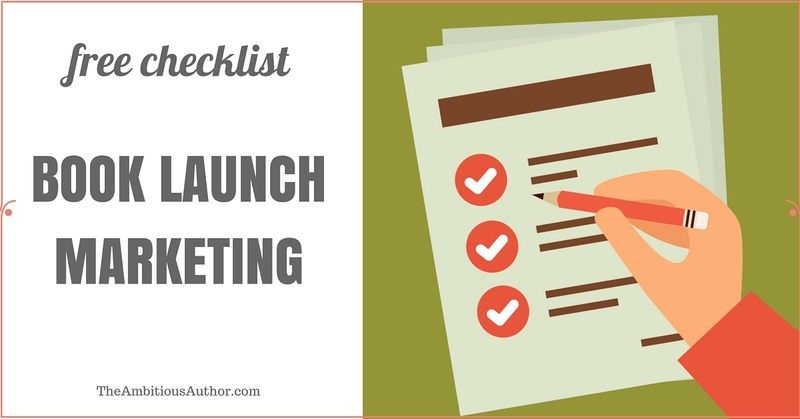 Today, we’ll cover a sample launch plan for your later-in-series book! You can see the launch plan for a DEBUT RELEASE here and a 1ST-IN-SERIES or STANDALONE TITLE here. A later-in-series book is arguably one of the easiest types to launch, because you have the momentum of earlier books in the series, and existing readers who are eager for more of the same characters and setting. This type of book is also the easiest to launch at regular price! This entry was posted in book launch, book promotion, email distribution, email list, Launch Plan, low-hanging fruits, paid advertising, pre-order, reviews and tagged advertising, blog tour, book launch, email list, launch team, marketing, new release, reviews. Sometimes marketing a new book release can be overwhelming, so a few weeks ago, I started a series of blog posts to help simplify the process. We’re talking about what pieces should be the core focus of a launch, depending on what type of book launch you’re doing. You can see the launch plan for a Debut Novel here. Today, we’ll cover a sample launch plan for your 1st-in-series book or a standalone title. I consider these as comparable when it comes to planning the launch, because you already have readers from previous books, but you don’t have the momentum of previous books with familiar setting and characters to drive read-through sales. I’ve been running a new Lead Generation ad campaign through Facebook, and I’m reminded of why I like this type of ad so much! What is a Facebook Lead Generation ad? Basically, it’s an ad that creates an easy experience for the user to receive a free gift (ebook) from you in exchange for signing up for your email list. FB uses the email address on file for that user, so the opt-in process is very easy for the user – especially from a mobile device. So why do I find value in Lead Gen ads? This entry was posted in book promotion, discoverability, email list, Facebook, giveaway, paid advertising, pay-per-click and tagged advertising, Book Sales, email list, facebook, Facebook Advertising, Lead Generation, marketing. John Maxwell, the great leadership guru, has taught for years about his “Rule of 5” daily practice. The Rule of 5 is simply a series of activities that you do EVERY DAY that are fundamental to your success. For John, his Rule of 5 are as follows: every day he reads, every day he files, every day he thinks, every day he asks questions, and every day he writes. Picture a forest of trees in your backyard – massive pecans and oaks. If you choose one tree to strike at with five swings of an ax every day, eventually you’ll cut down that tree. If you take five swings at five random trees each day, what will you end up with? An ugly forest full of scarred trees. This entry was posted in book launch, book promotion, email distribution, email list, low-hanging fruits, paid advertising, pre-order and tagged advertising, marketing, new release, Rule of 5.